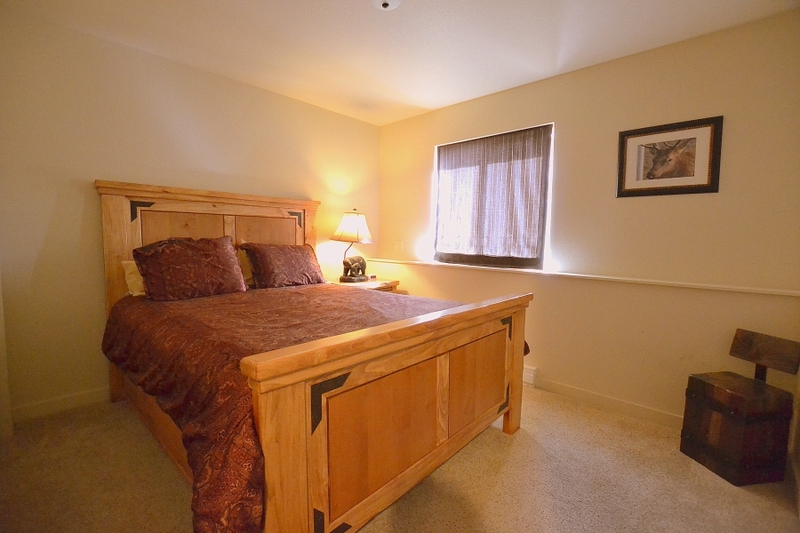 This new condo that sleeps 6 welcomes you with warmth and beautiful mountain inspried furnishings. 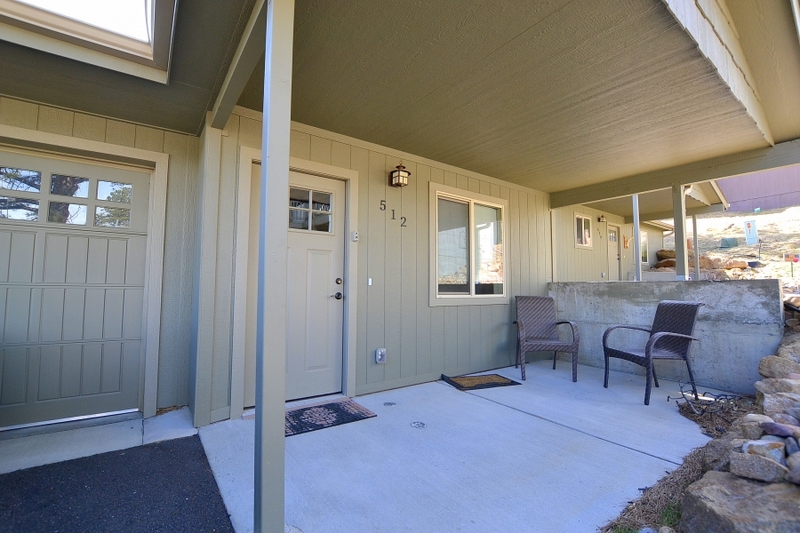 From the moment you enter this condo, you will want to relax on the comfortable couch that opens into a Queen sleeper or on the large leather chairs. This great room is spacious and bright. 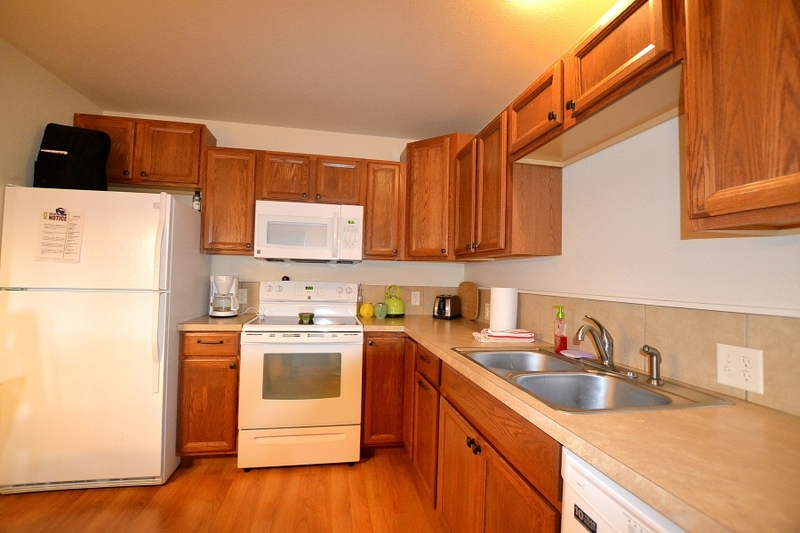 Enjoy this two bedroom one full bath condo for a few days or months. 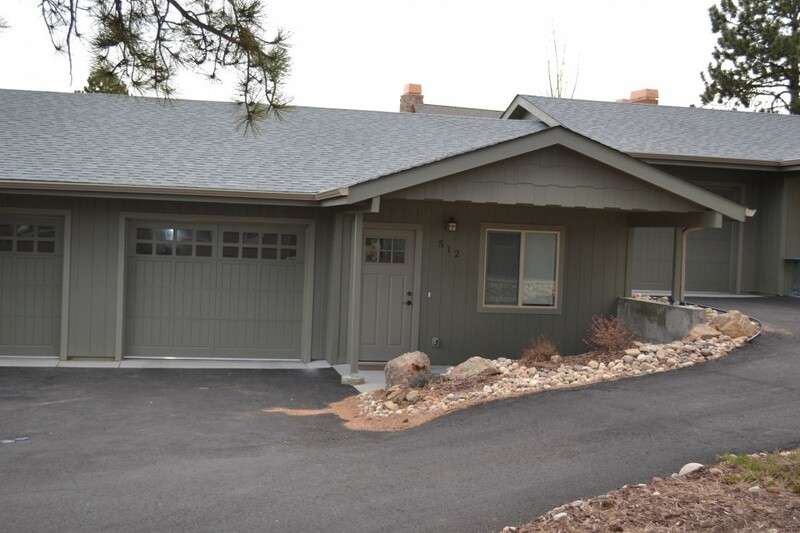 It is located about 1 mile south of downtown Estes Park. 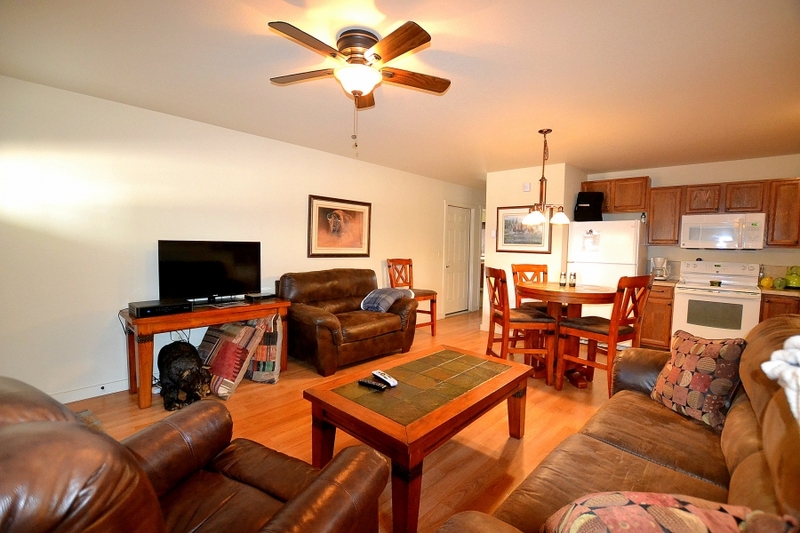 The condo has easy access to town and Rocky Mountain National Park. 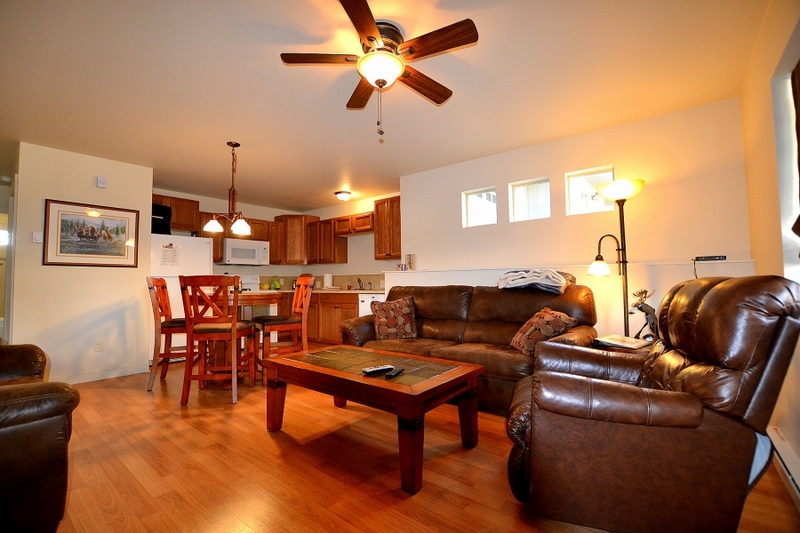 This comfortable unit has new furnishings to make you visit a pleasant one. 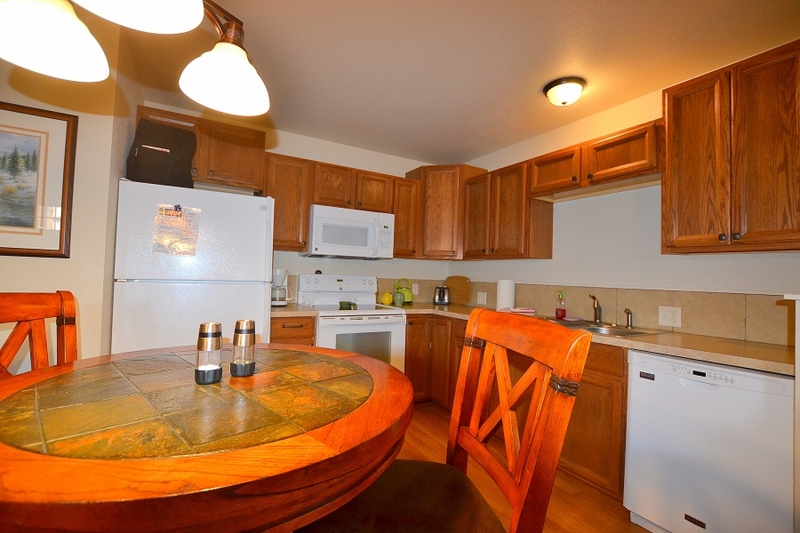 Easy walking distance to restaurants. 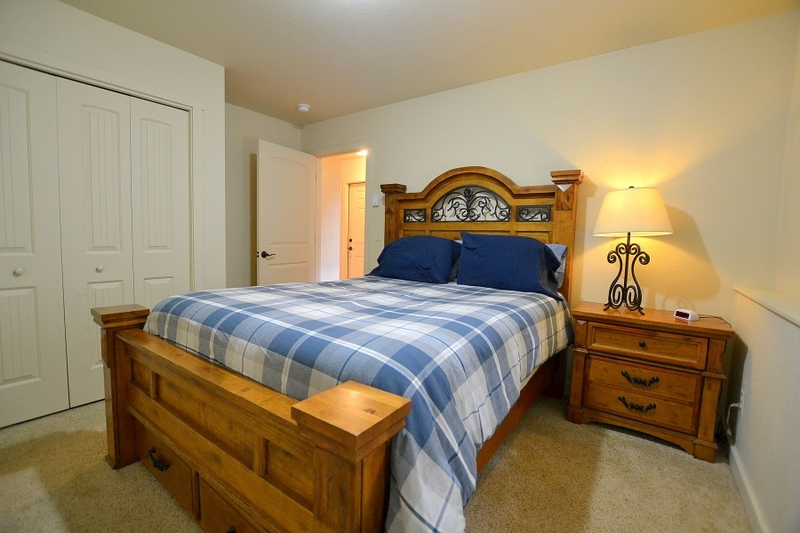 As you enter the hall, the Master bedroom and Guest bedroom are located on either side of the bathroom. 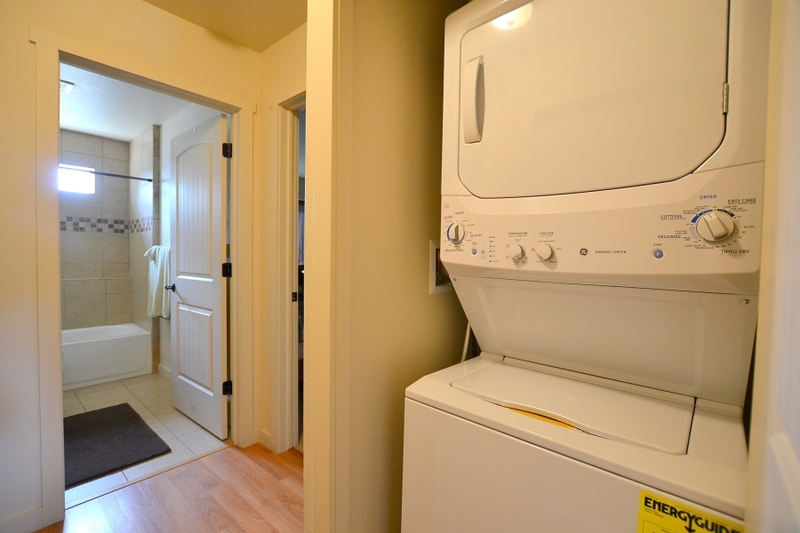 The washer and dryer are located in a closet in this hallway. 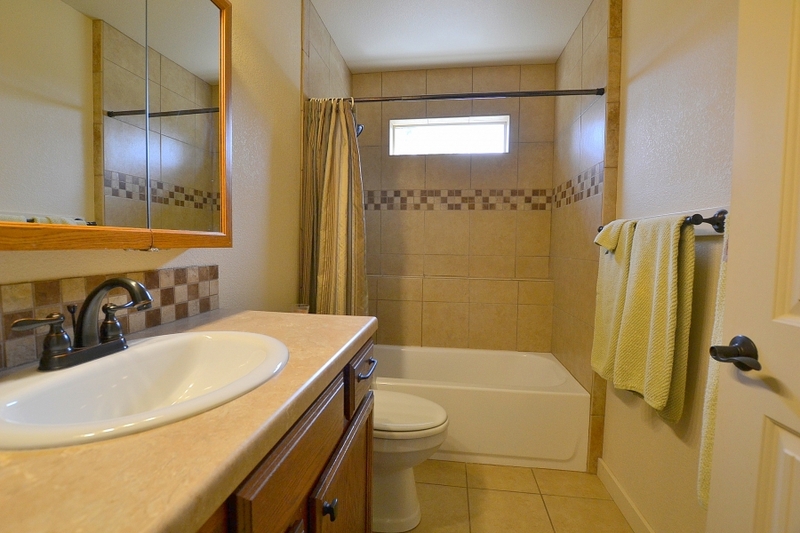 The bath has tile floors, tile shower, and a sizable tub for a relaxing bath after a busy day in the hiking in the mountains. 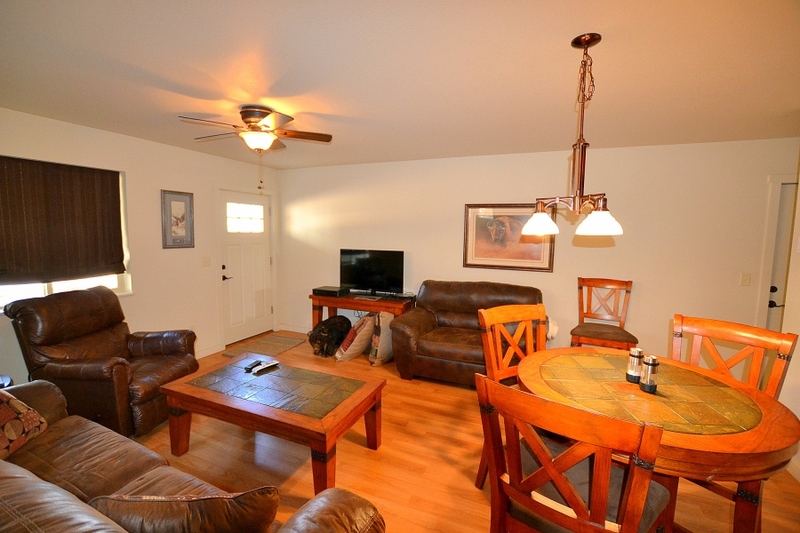 The flat screen TV is located in the living room with WIFI and DVD player.